Dr. Yousry Al-Sayed Abd Al-Aziz’s specialist interests include preventive measures to avoid foot complications and to screen high risk feet, surgical treatment of neuropathic foot ulcers which is the precursor of limb amputation, surgical treatment of skin complications, surgical treatment of foot gangrene aiming at avoiding major amputation and to reduce tissue loss, management of Charcot foot, surgical treatment of bed sores, and surgical treatment of complicated wounds. Dr. Yousry Abd Al-Aziz has joined the Gulf Diabetes Specialist Centre as a general and diabetic foot surgeon in May 2014. He started his first diabetic foot clinic at Al-Yusuf Hospital, Al- Khobar, Saudi Arabia. 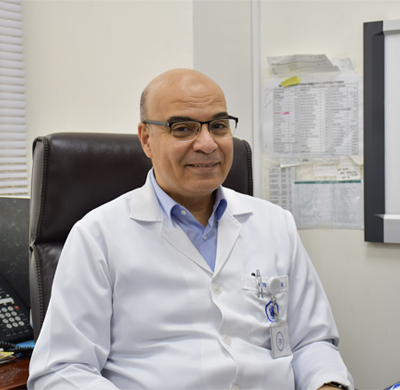 He worked for the past four years at Noor Specialist Hospital in Bahrain and with more than 25 years of experience in his field. Dr. Yousry Graduated from the leading medical school in Egypt, ‘Kasr Al-Aini’ Faculty of Medicine Cairo University in 1981. He continued seeking his specialization and master’s degree in General Surgery from the same University and successfully earned it in 1986. He then decided to join ‘Freie University Hospital’ in Berlin in 1999 as a visiting surgeon to gain more experience, he completed his laparoscopic surgery training program in New Delhi, India in 2002. In 2007 Dr. Yousry joined Dr. William M. Scholl College of Podiatric Medicine, Rosalind Franklin University, Chicago, USA; where he obtained his international fellowship. Dr. Yousry started his career by practicing medicine for 12 years in ‘Helwan University Hospital’ in Cairo, Egypt. In 1994 he joined ‘Al-Yousif Hospital’, Al-Khobar, KSA where he treated diabetic foot patients with the policy ‘we fight for every limb’. His policy along with his excellence and dedication to every patient, allowed him to obtain astonishing healing results and build a reputation across the Gulf region as a leading Diabetic foot surgeon. Dr.Yousry started the first private clinic in Bahrain aiming and dedicated only for treating diabetic foot complications and wound management in August 2010. His clinic aimed to reduce tissue and limb loss in Bahrain and Gulf region. Furthermore he wanted to change the prognostic concept for diabetic foot patients to a better optimistic future look where we all know that we should do our best to avoid amputation. 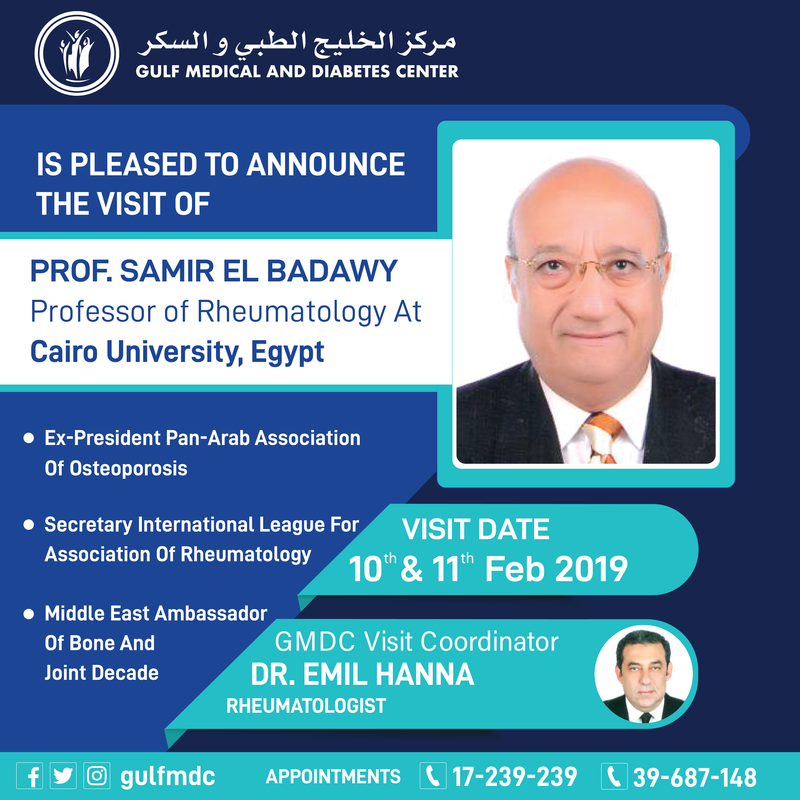 Dr. Yousry Graduated from the leading medicine school in Egypt, ‘Kasr Al-Aini’ Faculty of Medicine Cairo University in 1981 and master degree in 1986.